Myofascial release is a deep-tissue work whose focus is to relieve pain, resolve structural dysfunction, and improve function, mobility, and posture. “Myofascia” refers to the combined anatomical system of muscles (“myo”) and fascia. Fascia is a continuous web of connective tissue found throughout the entire body, It surrounds every muscle, nerve, blood vessel, and organ, and holds all these structures together, giving them their shape, offering support and interconnecting the body as a whole. Myofascial release has its roots in Connective Tissue Massage (Bindegewebsmassage) which was developed by Elizabeth Dicke who lived in Germany in the 1920s and 1930s. This work consisted of light strokes whose theoretical purpose was to improve circulation in subcutaneous connective tissue, resulting in reflex action to other parts of the body, including visceral organs. The term “myofascial release” was coined by Robert Ward, DO, (Doctor of Osteopathy) in the 1960s. John Barnes, PT, (Physical Therapist) adopted the term as designation for his method of freeing fascial restriction, and this is a popular form of myofascial therapy practiced today. Another important figure in the development of myofascial therapies, and someone whose work more directly influences my own, was Ida Rolf, PhD who taught in the 1960s and 1970s. Dr. Rolf developed a ten-session series of work that she called Structural Integration and that later was trademarked as RolfingTM. Dr. Rolf was very influenced by osteopathic manipulation; through her ten-session series, she sought to re-establish vertical alignment in the body by manipulating fascial layers. I studied this work in 2002-2003 at the CORETM Institute with George Kousaleos and, upon certification, I continued my education, studying with Certified Advanced Rolfer Liz Gaggini and also studying with KMI/Anatomy Trains faculty (Tom Myers, James Earls, and Simone Lindner). Simone Lindner, while still maintaining a busy teaching schedule with KMI, is currently serving on our faculty in the Sports Medicine Acupuncture Certification Program, where she teaches Anatomy Trains principles in the Fascial Release for Myofascial Meridians (FRMM) course. This has been an extremely rewarding experience, as I teach in the Anatomy, Palpation and Cadaver Lab in a two-day course prior to the FRMM course, where I lecture on the sinew channels discussed in the Chinese meridian system. These have much crossover with the anatomy discussed in the anatomy trains system. After my class, Simone then teaches fascial release techniques to work with these lines to restore structural balance. I assist with this class and occasionally help relate this information into TCM language more familiar to acupuncturists. This has been a tremendous amount of fun and a very educational experience for me personally, as well as for class participants. Matt Callison (the director of SMAC) and I then follow up and review some of these techniques in the Assessment and Treatment class, which usually takes place about a month later. In this class we teach assessment of injuries and conditions and using the assessment results to build treatment protocols, primarily geared around acupuncture, but also prominently featuring myofascial release techniques. Much of this work, in addition to work from other Structural Integration practitioners (my original teacher, George Kousaleos, and a current influence of mine, Advance Rolfer Til Luchau) has made its way into a course I am teaching at East West College of Natural Medicine. I teach many classes there, including Anatomy and Physiology, Orthopedic Evaluation, and Acupoint Anatomy, but more and more I have been teaching myofascial release techniques as part of the Tuina curriculum. The goal is to make this work accessible to acupuncture physicians in training so that they can improve the therapeutic outcome of their treatments and more deeply understand the sinew channels and how they relate to global strain patterns. To see more on this, visit my past blog post Teaching and Tuina. Since 2013, I have been on the faculty of the Sports Medicine Acupuncture Certification Program, teaching first on location in Manhattan, NYC and currently in San Diego, CA. It is a great honor and experience to teach with this program, as it is the most in-depth and extensive program of its kind in the country. I have the opportunity to work closely with probably the most knowledgeable person in the field of acupuncture and sports medicine, Matt Callison. Evaluation of injuries and orthopedic disorders to find the cause of pain and dysfunction. Based on these findings, treatment plans are then devised, which include acupuncture, myofascial release (a type of clinical deep tissue massage), and corrective exercises. Postural assessment to understand the global imbalances that can lead to, and/or prevent proper healing of, orthopedic disorders and sports injuries. Anatomy in great detail, including cadaver dissections. This allows for a comprehensive three-dimensional understanding of anatomy relevant to needle techniques, manual therapy techniques, and assessment of injuries. Relating the acupuncture channels discussed in Traditional Chinese Medicine to anatomical structures, especially continuous myofascial planes (myo-muscle, fascia-connective tissue). Sports Medicine Acupuncture Certification is taught in four modules: 1) the spine; 2) head, neck and upper extremities; 3) low back and hip; and 4) lower extremities. Each module focuses on sports injuries, repetitive use injuries and orthopedic disorders in these regions. This program is designed to provide the most advanced training available in the assessment and treatment of these injuries. I often get asked if I do dry needling. Many acupuncturists become defensive when asked this, and there is currently some contention in the fields of acupuncture and physical therapy, as PTs either have it in their scope of practice to do dry needling (in some states) or are trying to get it added to their scope (in other states, such as Florida). Many acupuncturists feel that dry needling is just another name for acupuncture and that PTs are trying to add acupuncture to their scope. So, what is dry needling and why is there any controversy? First off, I want to state that this blog post is not intended to state any profession opinion or get into the politics. Instead I am going to discuss the technique, goals, and give a brief history of dry needling. Dry needling as a technique and name grew out of work primarily from Dr. Janet Travell, MD. Dr. Travell, along with her colleague, Dr. David Simons, MD wrote a very influential two-volume book in the field of pain management called Myofascial Pain and Dysfunction: The Trigger Point Manual. In this book, they discussed trigger points (TrPs) which are defined as hypersensitive spots found in taut bands of muscle (click to read more about TrPs). When palpating muscles that are dysfunctional, there are notable taut bands. Following these taut bands, physicians might find a hypersensitive nodule, often in the belly of the muscle along these taut bands. Pressing these yields hypersensitivity and often a characteristic referral pattern is noted, many times quite a distance from the location of the TrP. These two volume books gave a detailed description of the palpation, signs and symptoms, and pain referral zones of these TrPs for each muscle in the body. In addition to clinical information regarding locating and diagnosing these TrPs, these books also discussed treatment. Many protocols were discussed, but TrP injections were primary treatments outlined in these books. It became increasingly understood that the mechanism that was at play with TrP injections was the mechanical stimulation from the needle. Most often what was injected were substances such as lidocaine which served the purpose of reducing sensation as a relatively thick hypodermic needle probed into a hypersensitive TrP. Dr. Travell did discuss dry needling, differentiating between using a hypodermic needle to inject a substance versus using a hypodermic needle without injecting a substance (which was, therefore, 'dry-needling'). 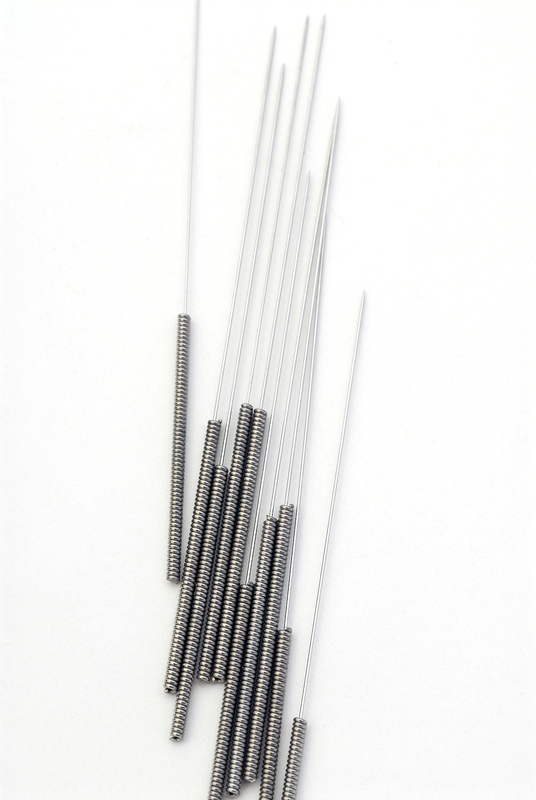 Over time, especially as acupuncture was becoming more popular in America, other practitioners determined that the use of a thinner solid filiform acupuncture needle could serve the same purpose. Actually, in the history of acupuncture in China these same techniques were discussed and the Chinese referred to these hypersensitive nodules as Ashi points. Ashi means something along the lines of ‘That’s it’. Imagine a physician palpating for the source of a patient’s pain and the patient proclaims ‘Ashi’. The needle technique involves with needling Ashi points is extremely similar to those described in TrP injection and dry needling circles. 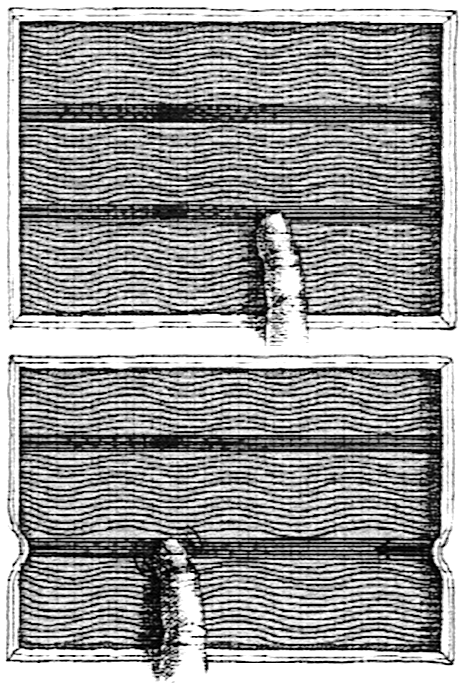 Notably this involves locating the hypersensitive nodule, inserting a needle, bringing the needle back to the subcutaneous layer and redirecting the needle. Imagine a needle pointing to numbers on a clock and, from the same point, the needle touches 12, 1, 2, 3, etc. This describes the lifting and thrusting technique discussed in the classics of Chinese medicine. When doing these techniques, there is a characteristic muscle twitch or fasciculation that is achieved as the TrP is being deactivated. This technique can be extremely effective in reducing pain associated with TrPs which is a very common source of pain. Increasingly, TrPs are being understood to be a major contributor to pain. Needling TrPs with an acupuncture needle is one of the most effective tools to treat these. I feel that acupuncturists are best suited to treat TrPs, as we have the greatest amount of training with needle technique and we have the greatest ability to incorporate this technique into a balanced acupuncture session. However, while all acupuncturists have had some training on needling sensitive points, those who have undergone more continuous training with emphasis on a detailed understanding of anatomy and palpation are going to yield the greatest results. While not all acupuncturists have this understanding, there is growing movement within acupuncture circles to incorporate a more detailed understanding of Western anatomy and utilizing a more integrative approach to treating patients. In upcoming blog posts I am going to describe common trigger points (often abbreviated as TrPs), discuss their clinical presentation (when it hurts, during which movements, how patients describe the pain, etc.) and pain patterns (where the pain refers to and is experienced by the patient). My goal is to educate patients on common pain patterns and give a few tips on how to prevent and alleviate this pain. A trigger point is defined by Drs. Janet Travell, M.D., and David Simons, M.D., as a hyperirritable spot in a skeletal muscle that is associated with a hypersensitive palpable nodule in a taut band (a “taut band” is a tight area in a muscle). The spot is painful on compression and can give rise to characteristic referred pain, referred tenderness, motor dysfunction, and autonomic phenomena. This definition is from their excellent two-volume book Myofascial Pain and Dysfunction: The Trigger Point Manual. What this definition states is that a TrP in a muscle will be associated with a taut band within this muscle. If TrPs are present in a muscle and you or a practitioner strums across the fiber direction of that muscle, there will be a taut, ropy band that is present. Somewhere within this taut band, usually towards the central belly of the muscle, there will be a palpable nodule which is often exquisitely tender, especially with pressure applied (Fig.1). Usually a minimal amount of pressure will elicit this discomfort, if indeed it is not actively painful with no pressure. In fact, it might be this active pain that brings a patient in for evaluation. The interesting thing about TrPs is that they have characteristic referral patterns which are where the patient experiences the pain (Fig. 2), either with pressure on the TrP, or, when very active, without. While this pain is sometimes in the vicinity of the TrP, many times it can be quite a distance away. This makes assessment and diagnosis somewhat tricky. pain from neural compression causing sciatica. Motor dysfunction caused by trigger points often involves how this muscle relates to its opposing muscle group (agonist-antagonist). Many times, the presence of TrPs can cause a muscle to become inhibited and it will not be able to perform its job effectively. This might be the case when this muscle, along with certain movements, also helps stabilize a joint. The last part of the definition refers to autonomic dysfunction. Some TrPs can cause sweating, goosebumps, they can contribute to digestive disturbances, and can even contribute to positional vertigo. It is important to note that TrPs appear as a result of muscle dysfunction and are not a precise anatomical aspect of a muscle. What I mean by this is that in a healthy muscle, there will be no signs of TrPs. When a muscle is overloaded due to repetitive use, injury, postural tension, stress, and other reasons, TrPs can form. Many times these TrPs can then become a chronic cause of pain. Finally, while TrPs are very common, there are many other sources of orthopedic pain which can also refer. Spinal nerve impingement, vertebral joint syndromes, tendinopathies and many other conditions need to be taken into account whenever evaluating pain experienced by a patient. I get questions on a regular basis asking if I treat sciatica. And then, I get further questions asking what I do for sciatica. The first question is easy. Yes, I treat sciatica. The second question is more difficult because, sciatica is not a very precise term and can involve many different but related syndromes. Strictly speaking, these involve irritation of the sciatic nerve, but there are many conditions such as muscle referrals that can be classified as ‘pseudo-sciatica’. the spinal nerve exits the foramen. 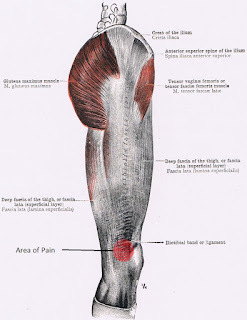 Pain radiating down the sciatic nerve has many causes, but I will highlight two. The most common cause is irritation at the level of the spinal nerve where it is exiting from the spinal cord. Conditions such as a herniated disc, degenerative disc disease and stenosis can compress part of the nerve. Depending on the spinal level affected, this could cause pain that radiates down the side of the thigh and the front/side of the leg to the top of the foot (this would involve compression of the L5 level); down the front/side of the thigh to the inside of the knee and to the big toe (this would involve L4); or down the back of the thigh (this would involve S1). All of these could be the result of trauma, inflammation, and/or aging and degeneration. I treat these by using acupuncture to release the deep back muscles at the level of spinal compression, balancing any postural disparities that might be contributing to compression on the nerve, and ‘opening the acupuncture channels’ which are along the pathway of the pain. In addition, I might use deep tissue massage techniques, stretches to free the nerves and restore proper gliding, and corrective exercise that can be used at home to expand the therapeutic outcome. The second common cause involves an entrapment of the sciatic nerve by one of the muscles involved in turning the leg out. This muscle is called the piriformis and the condition is called piriformis syndrome. This would involve deep pain in the buttock region and pain radiation down the back of the thigh. This pain is often worse when sitting, climbing stairs, or running; usually there is reduced range of motion in the hip joint. Some authorities consider this syndrome to be common, while others perceive it as uncommon; this depends on how the syndrome is defined. 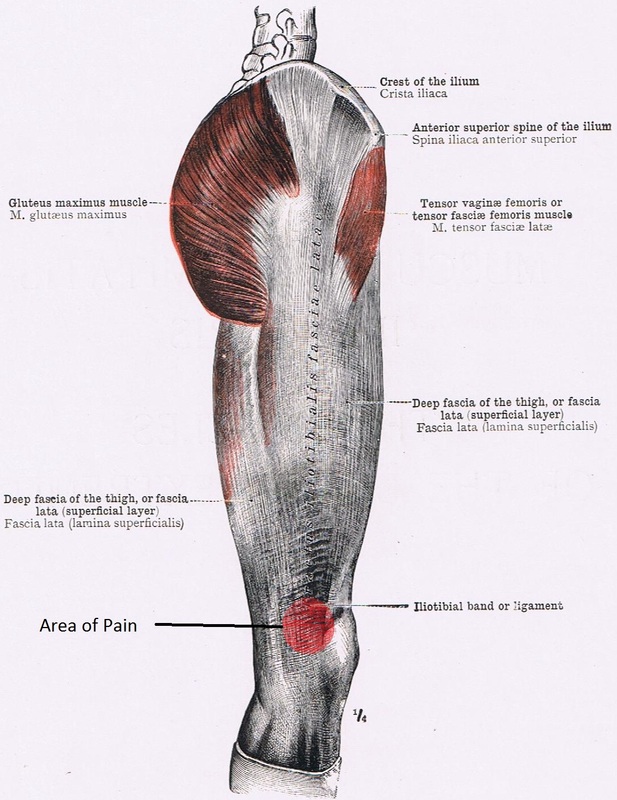 In most people, the sciatic nerve sits below the piriformis, but in about 10% of the population, it actually penetrates through the piriformis muscle. These people would be predisposed to piriformis syndrome. In the Sports Medicine Acupuncture Certification Program in New York, we dissected a specimen that had just this situation. It was unknown to use if this individual had pain of this sort, but it was a much stronger likelihood. muscle, predisposing them to symptoms. While many physicians see piriformis syndrome as occurring only in this population, others (myself included) feel that a tight and contracted piriformis can also contribute, regardless of the position. I treat this condition with acupuncture to release the piriformis and balance the pelvis, and might also involve deep tissue massage, stretching and corrective exercises. While these are the main conditions that put pressure on the sciatic nerve, there are many other syndromes that can mimic the pain of sciatica and can cause an incorrect diagnosis. In particular, hypersensitive painful spots called trigger points (TrPs) in the muscles on the side of the pelvis can radiate pain down the leg and mimic sciatica. In particular the gluteus minimus muscle which is deep in the outside of the hip region is a common culprit. Sacroiliac dysfunction and spinal arthritis (referred to as facet syndrome) are also pain syndromes that can refer into the buttocks and legs. Greater trochanteric bursitis can also radiate into the leg and be confused with sciatica. All of these conditions require proper assessment. In my practice, I take the time necessary to perform orthopedic evaluation and use other tools such as palpation to determine what is causing the symptoms experienced by the patient. I look at how the posture might be contributing to the condition. I assess range of motion, what muscles are strong and supporting the structure and which are inhibited and failing to provide support. And I use Traditional Chinese Medical diagnosis to assess imbalances in the channel system. All of these findings then are used to develop a unique treatment plan to relieve the pain of sciatica. Yesterday and today I gave exams for the Summer term at East West College of Natural Medicine where I am a faculty member. This term I taught some classes that I regularly teach, such as Anatomy and Physiology, Oriental Medicine Physiology, and Orthopedic Evaluation. The class I enjoyed teaching the most this term, however, was Tuina. Tuina is a Chinese system of clinical massage and manipulation/joint mobilization. This class allows me to draw on my clinical experience with structural integration, which I studied and practiced before going back to school for Chinese medicine and acupuncture. Many people know this work as Rolfing, as the original body of work was developed by Dr. Ida Rolf, PhD. This work uses deep tissue myofascial release applied to shortened, densified connective tissue and muscles (myo-muscle, fascia-connective tissue) with the goal of realigning the body and helping integrate movement patterns. This work is often performed in a ten-session series, with each session having a particular goal (opening restrictions in breathing, balancing the weight in the feet, etc.). While there are many excellent schools that teach this work, many talented SI practitioners and Rolfers teach aspects of this work to therapists who want to apply it to their existing work flow. This has been my goal with teaching this work at a Chinese medicine and acupuncture program. I teach how strain patterns tend to manifest in the body, how to assess for them, and then some manual release techniques and how to include them in combination with a more integrated acupuncture treatment. What I have found is that this work syncs very well with acupuncture and Chinese medicine. Iliotibial Band with Highlighted Area of Pain. Iliotibial band friction syndrome is one of the most common cause of lateral knee pain and is especially prevalent with runners. In iliotibial band friction syndrome the iliotibial band (ITB), which is a thick connective tissue structure on the outside (lateral) portion of the thigh, rubs up against the expanded end of the femur (thigh bone). This rubbing occurs at about 30o of knee flexion. Over time, the ITB becomes irritated and can become a cause of pain when running; this can even become chronic, causing pain at rest. Understanding the mechanism of injury helps when determining how to treat this common cause of knee pain. Many people will state that a ‘tight’ ITB is the cause; actually, this is somewhat incorrect. First, the ITB is not a muscle and is not contractible, at least compared to a muscle. 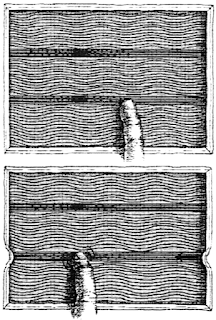 Second, it is most often the case that the ITB is taut in ITB friction syndrome. What I mean by this is that the ITB is often pulled into an overlengthened position. To understand this, it is important to understand the role of the gluteus medius and minimus in pelvic stability. During the weight bearing phase of the gait cycle, these muscles fire to prevent an excessive rising of the ilium. If you were to place your hands on your waist and press down until you feel bone, you would be on the ilium. When walking (or running), during the weight bearing portion, this bone should not rise too much. The gluteus medius and minimus are the muscles most responsible for creating this stability. If these muscles become inhibited and lose the ability to stabilize the pelvis, it then will rise excessively and structures such as the ITB will be pulled long with each step. To help visualize this, you can consider that women naturally have more pelvic movement and some women (Marilyn Monroe, historically, and many runway models) actually practice exaggerating this movement for aesthetic reasons. In the majority of the cases, the side where ITB friction syndrome occurs is also the side where the greatest degree of inhibition of the gluteus medius and minimus occurs. This can be assessed with manual muscle tests which challenge these muscles. In addition, most patients presenting with ITB friction syndrome will have a raised ilium when assessing standing posture, and this raised ilium will be on the side of the lateral knee pain. Treatment of ITB friction syndrome needs to include some work to strengthen the gluteus medius and minimus for optimum results. Things like foam rolling the ITB might help to soften it, but most often work needs to be on the short and tight adductors on the inside of the leg, and strengthening corrective exercises should be applied to the abductors such as the gluteus medius and minimus. Acupuncture can be extremely helpful as part of the therapy. Acupuncture to motor points (approximately in the region of the entry site of the motor nerve into the muscle) can help turn on inhibited muscles, which is shown by the muscles strengthening after treatment when testing with manual muscle tests. In addition, acupuncture to motor points of the overactive antagonistic muscles (adductors in this case) will help reduce tension in these muscles. This helps strengthen the effects of corrective exercises and allows quicker recovery time so you can get back out and hit the trails.